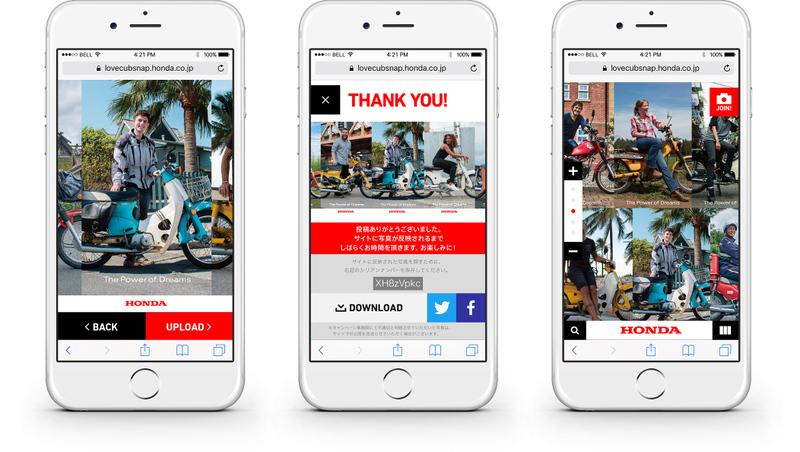 A photo project to create a gallery of connected photos of Honda Super Cub lovers from all over the world. Since 1958, the Honda Super Cub scooter has built up a huge fan base worldwide. 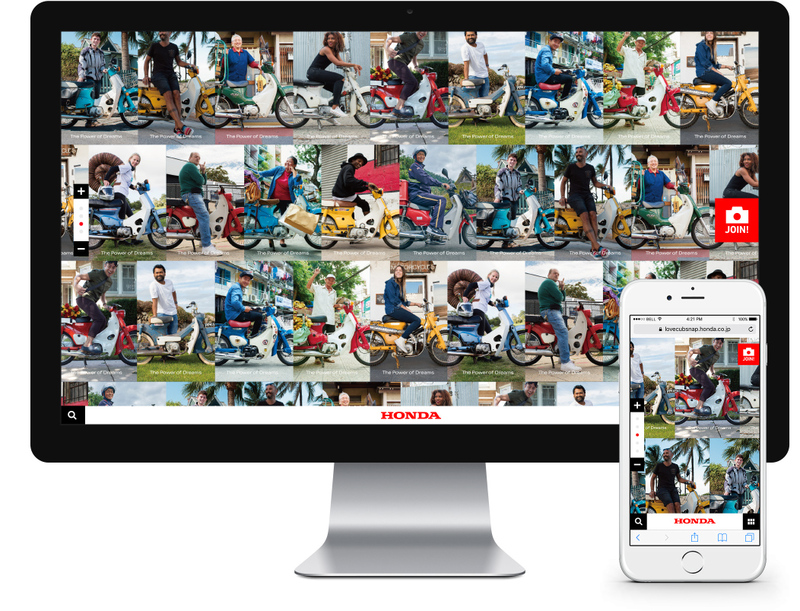 To celebrate the 60th anniversary and the milestone of 100 million units sold, Honda created an online gallery of photos showing Cub fans and their bikes. 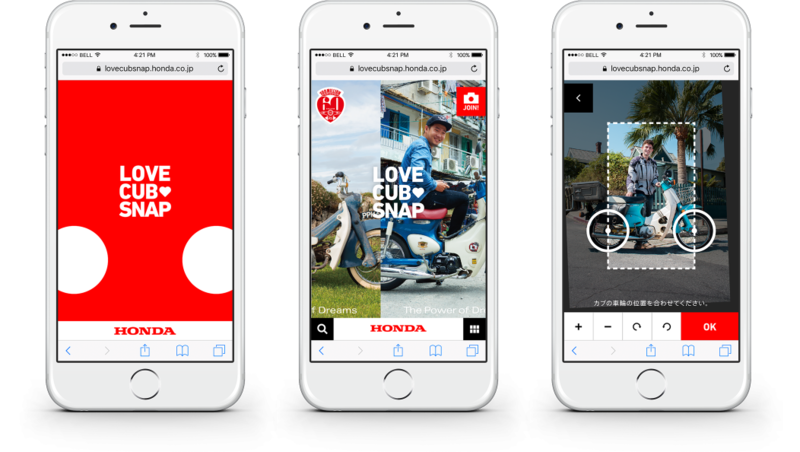 Each photo connects to the next by the wheels of the Super Cub, symbolizing the shared passion for this fun scooter and creating a long mural taking us around the world showing how fans enjoy their lives with their Super Cubs. All photos were submitted by fans using a specially created template. Turning this project into reality required an environment that would allow for easy upload of large quantities of data. After uploading the picture, the user edits it through a GUI. The original photograph, along with location, scaling, and rotation data, is also uploaded. This organization avoids the difficulties associated with operating system or hardware differences. On the server side, ImageMagick is used to dynamically create the finished images from the uploaded information. For each image two versions are created: a smaller one for the gallery and a bigger one for sharing on social media.